Sachin Tendulkar has retired from ODI cricket. Tendulkar finishes an illustrious career in the 50-over format, having played 463 ODIs, scored 18,426 runs and made 49 centuries, each of them a world record. His last ODI was against Pakistan in Dhaka during the Asia Cup, where he made a half-century in India’s victory. Some of the batting highlights in his ODI career include back-to-back hundreds against Australia in 1998 in a triangular tournament in Sharjah, finishing as the highest run-getter in the 2003 World Cup in South Africa, and becoming the first batsman to score a double-century in the ODI format, against South Africa in February 2010. He was part of one of India’s greatest ODI achievements over the last three decades, when they won the World Cup in 2011, beating Sri Lanka in the final on his home ground in Mumbai – it was his last ODI in India. 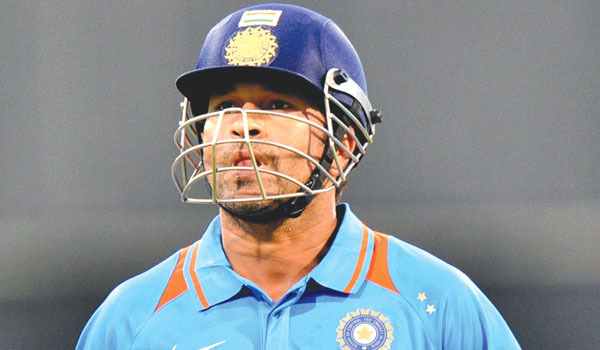 In preparation for that World Cup, Tendulkar had curtailed the amount of ODI cricket in the year playing only four ODIs in the 12 months before the tournament. Since the end of the World Cup, Tendulkar has played 10 ODIs, seven in the CB Series against Australia and the last three of his career being played at the Asia Cup in Dhaka. His innings of 114 against Bangladesh on March 16 was his 100th international hundred in what turned out to be Tendulkar’s penultimate ODI match for India. Tendulkar’s announcement of his ODI retirement came through a statement from the BCCI which stated that he had spoken to BCCI president N Srinivasan. His retirement was announced on the day the Indian selectors picked the teams to play in the five-match T20 and ODI series against Pakistan. It's not good news for indian cricket. he had always been a match winning players. you are wrong . he had always been a match winning players. you are wrong . we never forget him and his batting. No doubt, he is such a great player BUT he did not play for his country and for his team. He played for himself mostly and for records…..
why….. bcoz of fame and money involved. selfish interests …. watch live tv channels , Pakistan Vs India all matches live on online pak tv . This is for the Editorial Board if any. Change the name of your paper and do not insult the name Pakistan.